[ Android ] The main changes in version 1.6.6 are the following. - A video call between the app users is now available. 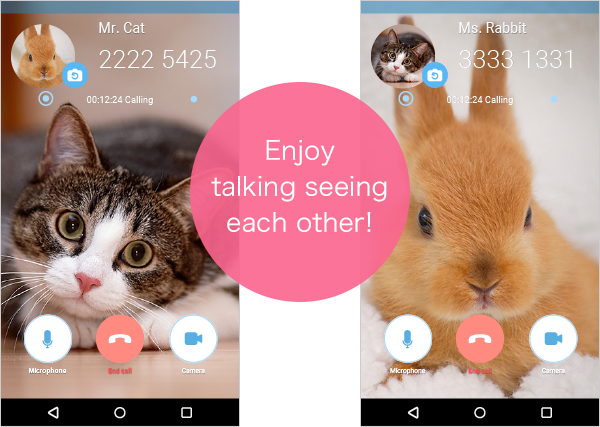 The long-awaited video calling feature in SkyPhone has finally arrived for Android. You can start a video call with a simple operation. A video call makes you feel closer to someone who is far away from you.